Losing weight is a tough job, but living like an over-weight individual in even more. One has to stay fit and healthy to keep one away from any kinds of diseases and also to feel confident and socially acceptable. Losing weight need a lot of determination and motivation. One cannot shed a few pounds off without being extremely focused, because any irresponsibility on the way to lose weight may result in gaining back a few more. Other than determination and motivation, you also need proper diet plans and workout routines that might help you shed off some weight. With so many kinds of diet plans available online ad otherwise, one of the healthiest way of losing weight is taking juices. By juices it is not meant the ones that are easily available on the racks but the ones that are freshly extracted using an electric juice extractor. Fresh juices are not only free of any added processed sugar but they also have a lot of vitamins and minerals that help you maintain the amount of nutrients you are taking. Fresh juices fulfill all the requirements of our body and help us detoxify any toxic agents in our body. 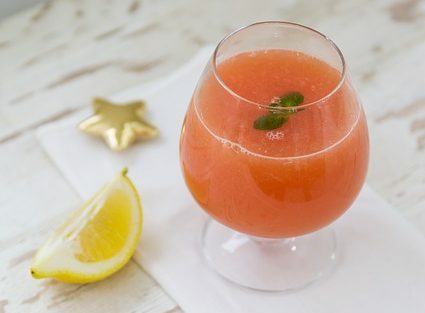 Following is the recipe of few fruit juices that help in weight loss. This juice is a toxin flusher because it has cucumber in it which acts as a diuretic and helps cleaning out kidneys. It also has parsley which aids in digestion. This juice is high in vitamin A, B, C and K and helps in boosting of immune system. Add kale leaves and parsley. On top add cucumber and spin. Take them out in a glass. Juice apple and lemon separately. The sweet taste is due to apple present in it. Cucumber is mostly water so it masks the strong taste of kale. The drink is very healthy, refreshing and detoxifying. 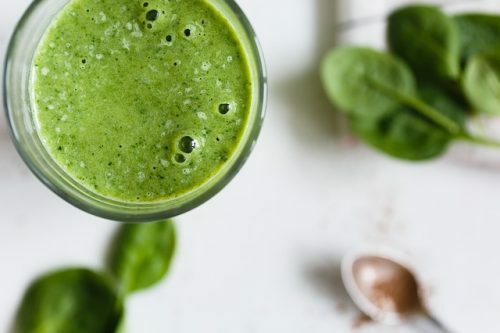 This green juice has only one green vegetable thought the name suggests it has many. The only green vegetable is spinach. Spinach is considered to be one of the most nutritious green vegetable. It is loaded with Potassium, Calcium, Vitamin K and Vitamin A. Spinach is extremely healthy when you are trying to lose weight. The drink has spicy flavor due to ginger. You can take it without it also, but it is used to mask the strong flavor of spinach. Take a vertical stem slow juicer. Put in to the juicer and spin. This juice has Swiss chard I it. Like spinach, Swiss chard is also one of those green vegetable that fight good cholesterol, eradicate free radicals and gives you healthy bones. Swiss chard is also full of omega 3 fatty acids and antioxidants, which makes them good for diseases like cancer or obesity. This drink is good for including in your diet plans because it is both healthy and has a low calorie count. Add all of these in it and spin. Add ginger and lettuce head. This fruit juice is very bitter in taste unlike other fruit juices. It has pink grapefruit in it which is very bitter in taste. Grapefruit is known to lower insulin in our body. When insulin is lowered our body doesn’t store sugar as fat and we tend to lose a few extra kilos. It also has lime and unsweetened cranberry juice in it; these both are diuretics and also help in cleansing of kidneys. You can add ginger to it to mask the bitter taste and make it spicy. Juice lime ad grapefruit in it. Juice cucumber and ginger separately. Apple can also be added for sweet taste. Watermelon is almost 80% of water so when you take it, it gives a fulfilling effect without increasing the amount of calories. Lemon is a detoxifying agent, it cleanses are body and blood and throws out the entire toxic agent from our body. This drink is very good for people who seek weight loss and also helpful in dehydration during summers. Add lemon, watermelon and mint. Spin until all is smooth. Pour crushed ice in it. The above recipes are just a few that might be helpful in losing weight. But other than this, healthy eating and daily exercises and work out are also very important in shedding weight. One should carefully plan out their weight loss regime and keeping all the things in mind so you have a diet plan which has all the components of a healthy lifestyle.